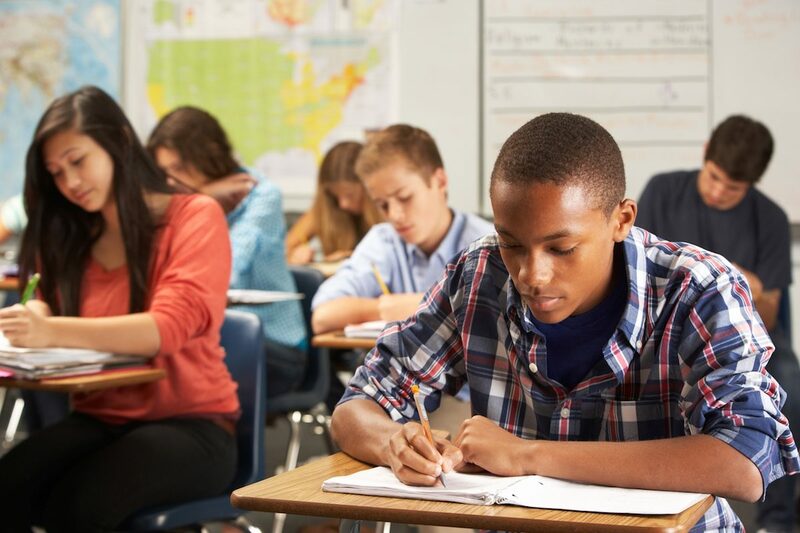 Raleigh, N.C. – Students in North Carolina would take significantly fewer exams in K-12 public schools under bipartisan legislation approved by the state House of Representatives this week. House Bill 377 Reduce Testing is sponsored by Rep. Jeffrey Elmore (R-Wilkes), the state legislature’s only active public school teacher, Rep. Kyle Hall (R-Surry), Rep. Debra Conrad (R-Forsyth), and House Majority Leader John Bell (R-Wayne). The bill would eliminate end-of-grade tests in the 3rd through 8th grade and replace them with shorter “check-in” assessments throughout the school year. H.B. 377 also replaces high school end-of-course exams and N.C. 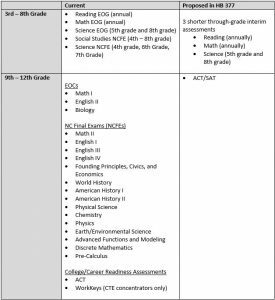 Final Exams (NCFEs) with the ACT, SAT, or other nationally recognized assessment of high school achievement and college readiness. NCFEs were created under the terms of the now-expired federal Race to the Top grant to provide a growth measure for every teacher in courses that did not have an end-of-grade or end-of-course exam. The NCFEs and end-of-course exams to be eliminated amount to more than 18 tests students in grades 9-12 would no longer be required to take. 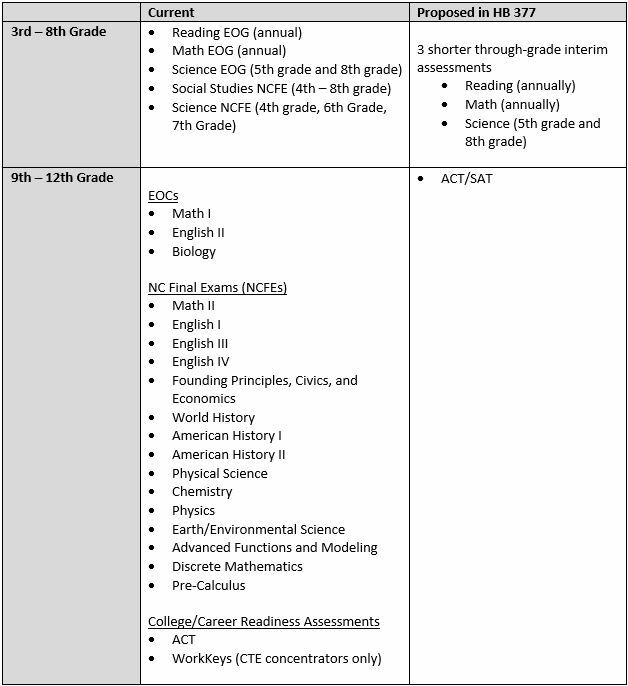 Students in the 3rd – 8th grades would see at least two, and as many as five, annual assessments be removed from their curriculum requirements depending on which grade they are in. Rep. Elmore said the bill streamlines testing across state education institutions. “This bill makes sure the state meets federal requirements while responding to concerns from education communities about the impact of high-stakes over-testing,” Elmore said. The new “check-in” testing format in the bill goes on the recommendations of the State Board of Education and its testing task force. The legislation also prohibits schools from conditioning student graduation on completion of assigned projects, and prohibits districts from requiring standardized tests not required by the State Board of Education.